This user is Nondenominational / Interdenominational. 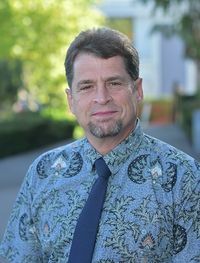 Chris Ashcraft has been active within the creation science community for about 15 years. See full biography on CreationWiki, ministry website, or professional profile on LinkedIn. Founder and senior administrator of the CreationWiki. Organizes the monthly Apologetics Symposium at Cedar Park Church, Bothell WA. Publishes in peer reviewed creation journals and magazines. This page was last modified on 7 December 2017, at 18:18.